Indeed, according to major indices of world economic freedom published by the Fraser Institute and the Heritage Foundation, since the mid-1990s Argentina’s levels of economic freedom have plummeted from the second quartile to the bottom, yielding a “not free” ranking due to increased trade barriers, weakening support for property rights and an expanding government. Marty realized that his challenge was not just to nurture entrepreneurs but to help arguments for economic freedom become part of the national and regional discourse to counter a freedom-restricting strain of populism that had been on the rise over the past two decades. “Unless we help to change the culture, it will be very difficult to teach entrepreneurship,” he says. To pursue that change, Marty and his sister and colleague Maria Marty sought a small amount of seed funding to allow them to devote their time to the project of increasing awareness of issues related to economic freedom among high school and university students as well as with influencers in business, journalism and academia. Over the course of two years they developed a curriculum and deployed it in 18 multi-unit courses, enrolling a total of 380 high school and university students. They also organized a series of TED-talk-style presentations, as well as other lectures and debates with public intellectuals, and convened several “Socratic Seminars” designed to spur discussion among business professionals and academics. 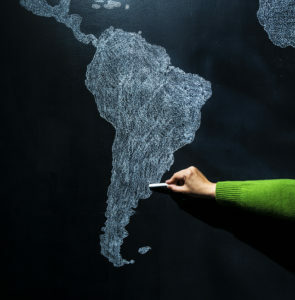 The Martys note that in the academy, Argentina and Latin America more broadly have far stronger cultural and philosophical ties to continental Europe than to England and the United States. Maria Marty recalls talking to a group of businessmen about political revolutions in Europe. While most of them knew a good bit about the French revolution, none of them could recall anything about England’s 1688 Glorious Revolution, which created that country’s first constitutional monarchy. For his part, Eduardo Marty recounts the story of a friend who took comparative photos of required texts of the philosophy departments of the University of Buenos Aires and of a university in the United States. “He made a Venn diagram and there were only four or five common names between the two,” he says. Since completing their seed grant, the Martys have continued rolling out their secondary school courses, and are on track to run 50 courses in 2018. They are also working to digitize their content to reach even more students, and have commissioned a Portuguese translation of the curriculum for use in Brazil. They also intend to produce a one-minute capsule video suitable for social media to help explain aspects of economic freedom.